Are you looking for a home that offers matchless views of the Mississippi River with an unmatched location in the Downtown Core? Waterford Plaza provides that and much more from its location at the corner of Front and Beale streets. Waterford Plaza was built in 1983 along Wagner Place. 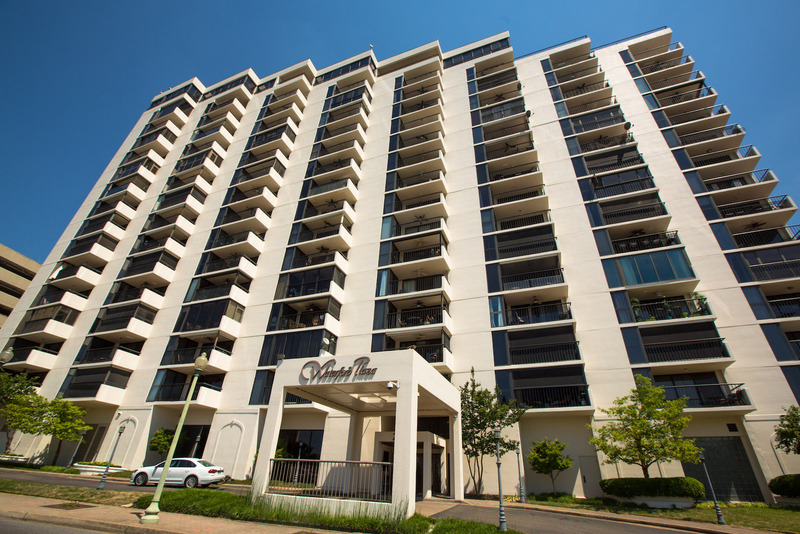 Sitting high on the bluff, it offers unobstructed views of the Mississippi River from its prime location across from The Orpheum Theatre and near all the great dining options along Main Street nearby. Waterford Plaza is next to the AutoZone Inc. corporate headquarters, and it provides an ideal address for anyone who works in Memphis’s Downtown Core neighborhood. Waterford Plaza residents have access to indoor and outdoor pools, tennis courts, a workout facility, steam room and sauna, racquetball, party room, card room, pool table/ping pong access and an outdoor party grill. Needless to say, this property has it all when it comes to entertaining and fitness needs. Waterford Plaza also provides security, and each unit has two reserved indoor parking spaces and storage.